Ivorian international Victorien Angban has agreed a season-long loan to French club Metz after signing a contract extension with Chelsea. 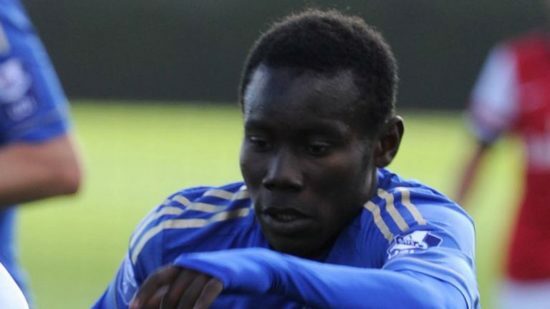 Angban was signed by the Blues in 2015 and is yet to play for the London club. the 21-year-old has had three spells on loan at Saint Truiden, Granada and Waasland Beveren. Last season he was a regular at Waasland making 31 appearances which led to the offer of a one-year extension to his existing contract. The midfielder’s exit is keeping in line with the club’s unique policy of sending players on loan to gain more experience. Chelsea are notorious for their complex loan system which involves signing young prospects and sending them on loan until they can increase in value – The Blues having up to 38 players on loan last campaign. The players who are unable to make the grade to the first team are eventually sold for a tidy profit. The loan system has been widely criticized by many quarters as most times the Chelsea end up hoarding these talents. Agban would be hopeful of continuing his development and follow the steps of Victor Moses who broke into the first team on the basis of his performances whilst on loan.